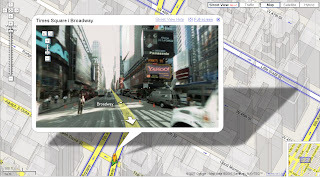 Google has added street-level pictures for major cities (NYC and SF among them) to its Google Maps service. See the Time Sq. billboards?